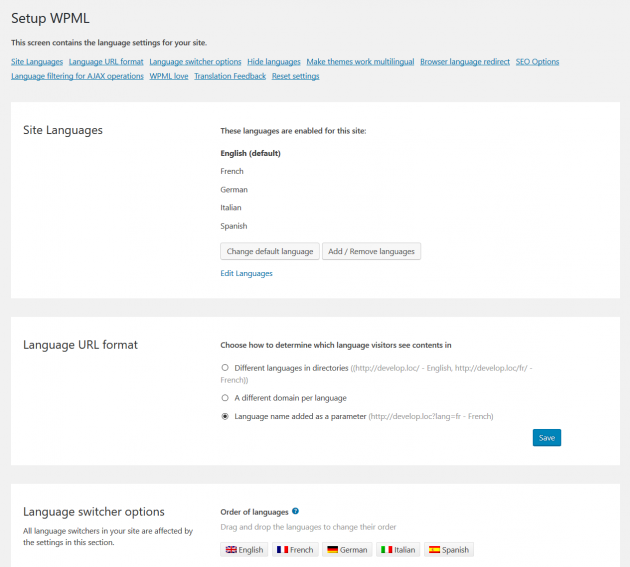 When it comes to offering your site in multiple languages, the easiest solution is to use WPML, the WordPress multilingual plugin. We’ve explained before how to install it and why we think it’s the best option for your site. In this post, we’re going to dig in a little deeper. Even with a comprehensive plugin like WPML, you still need to decide which languages to use and keep track of your translation workflow. And don’t forget, your site is not just posts and pages! Which languages does WPML cover? First of all, you’ll want to know if WPML is going to be able to handle the languages that are most relevant to your site. So which languages does it cover? WPML is pre-configured in more than 60 languages, from Albanian to Zulu, and everything in between. That really is an astonishing array of languages! The most popular are Chinese (simplified & traditional), Danish, Dutch, English, French, German, Italian, Japanese, Russian and Spanish. 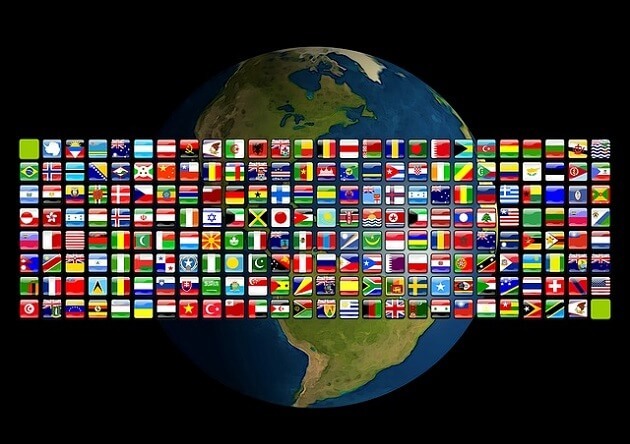 These languages cover the vast majority of internet users today so should cover your needs. However, many other languages are supported, including Irish, Hindi, Punjabi and even Esperanto. WPML helps your site to display in various languages without you having to do the manual work of creating extra pages for each language. You can either use the automatic computer-assisted translation tool (Advanced Translation Editor) which we have featured before, or go through the translation process manually. 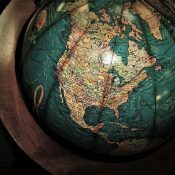 If you don’t have translation resources in house and you’re not happy with the quality of the automatic translation, you’ll want to consider engaging a professional translation service. There are plenty of these on the internet and a bit of searching should help you find one in your price range. 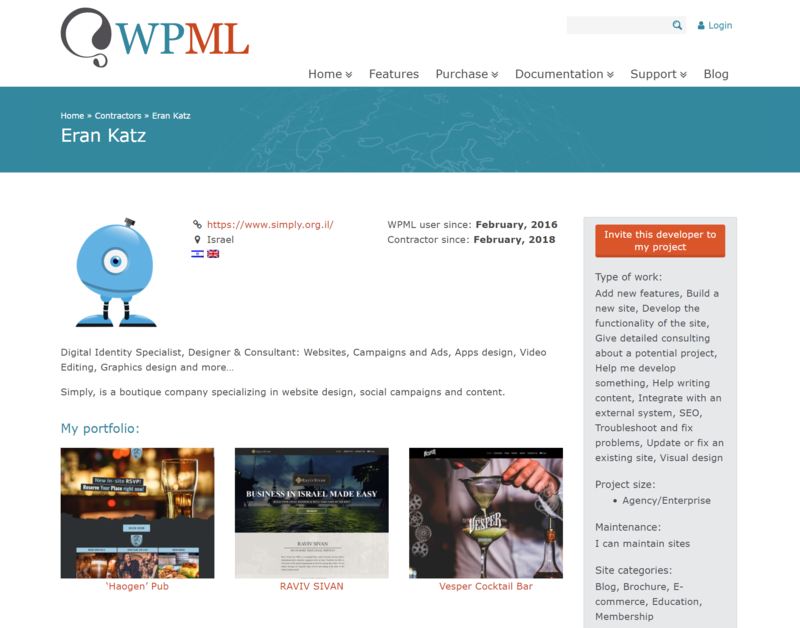 But because WPML is pretty awesome, they also have an integrated solution where they connect you with their translation partners. They have literally dozens of translation partners based all over the world, so you will definitely be spoiled for choice. This also integrates directly into the WPML dashboard, meaning you can manage it all in one place. Your analytics should tell you where the majority of your visitors are coming from and you can tailor your site to meet their needs. Keep an eye on increases in visitors from specific areas. Even a small uptick in visits from, say, China, can make it worthwhile to translate your site into both simplified and traditional Chinese. The return on investment will be immediately obvious and that small uptick will get a natural boost if you can offer your content in your visitors’ native language. Adding another language to your site is relatively straightforward (or as simple as anything on WordPress ever is). In WPML’s settings, put a check next to the languages you want to add and hit save. Easy! Of course, you still need to set up your translated content. In your posts and pages dashboards, you’ll see that a new flag has been added for your languages under which there are pencils and pluses. 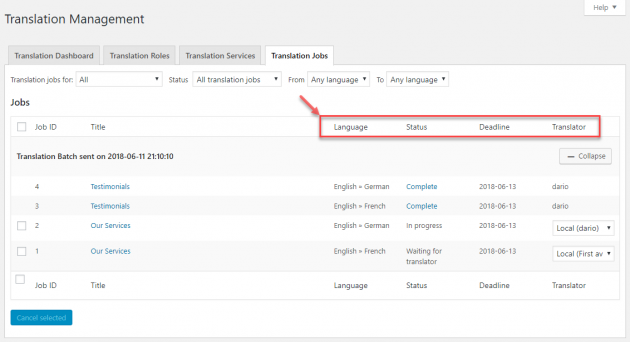 Click on the ‘plus’ to add your translated content manually. Once it’s created, you can edit it using the pencil. If you’re using WPML’s translation service, check the pages you want to add, put them in your basket, and send them along to your preferred WPML translation partner. Probably the hardest thing to manage during a multilingual update is the translation workflow. How can you keep track of which pages have been translated, which are the most important, which still need to be done? Fortunately, WPML’s icon system gives you a visual prompt to see the status of each page and where it is in the translation workflow. As already mentioned, a pencil icon means the post or page has been translated, and can now be edited. A plus icon means that a translation for that page or post doesn’t exist yet. While this system is perfectly fine, you may want to export your site map into a spreadsheet to keep a finer track on your workflow. This is especially true if you are only translating a selection of your posts and pages, or if you have hundreds of pages. There are two additional icons which aren’t really related to your initial workflow, but will be handy later on. The first is a circular arrow, which means that your translation page needs to be updated. This usually means that you updated the original language page and haven’t propagated those updates across your other languages. The cogs icon means that these updates are already in progress. If you are finding the whole process overwhelming, prioritise! You probably don’t need to translate all of your pages at once. Again, check out your analytics. What are the most important pages and posts? Which products are most popular in your new language region? Bump those to the top of your list and save the less important stuff for when you have more time and budget. 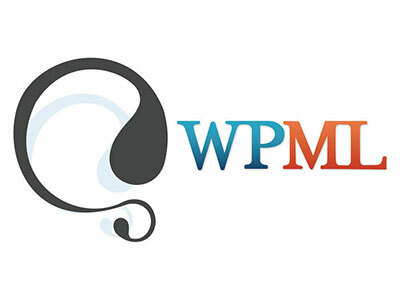 WPML is our top recommendation for translating your WordPress site. Finally, don’t forget the small stuff! Categories, tags, custom fields, menus, alt tags, URL slugs, widget texts – phew! Yep, all of these little guys should be translated too if you want to maximise the benefits of a multilingual site. WPML does this out of the box, just like any of your other posts and pages. For images, the core plugin can handle this if you’re doing the translation manually. If you want to take advantage of WPML’s translation service, you’ll need the additional Media Translation add-on plugin. Offering a multilingual site makes sense in today’s globalised world. Plugins like WPML make this easier for you, but more importantly it makes it easier for your visitors, allowing them to switch languages with just a push of a button. Like anything, there’s still plenty of work for you to do on the backend. Prioritise your pages, keep track of your workflow, and happy translating.